Over the last ten years, we’ve adapted to using the online world to listen, research, and find products/services we want to buy. For any business in any industry, it’s no longer a nice to have it’s a necessity. Being present online is only step one of letting customers know what we do, we must also build brand awareness and engage with our community to build trust. Customers used to look at maybe one or two websites when wanting to make a purchase. They wouldn’t go to 10-20 different websites and look at reviews, social activity and how a business was dealing with customer service. For a business to succeed in the marketing world now, they need to be brand consistent. It takes on average ten touch-points for a customer to trust, and purchase from a business. It never used to be this difficult, or complex. I found some interesting statistics from a study ran by Adobe. They found that less than half of the professionals considered themselves to be highly proficient in digital marketing. The study also showed that only 9% agreed that their digital marketing is “working”. Businesses are worried about embracing digital, and are finding it hard to be truly successful through their digital marketing. Digital marketing was barely an after-thought ten years ago but now, it is the primary focus, and one which does have businesses worried. Over the last ten years, there has been some major advancements in technology and because of this, a larger budget is being put in place by businesses so that they can stay ahead of their competitors. This also includes hiring more knowledgeable people to take control of a digital aspect of the business as well as having freelancer help with content creation, and paid advertisement. The ways in which we can engage with consumers has increased, and there are endless opportunities but it does cost money to explore these and put a strategy in place. Businesses have been quick to realise, especially over the last five years, how critically important Social Media is to generating revenue and brand awareness. As more potential customers are turning to Social Media as a way to engage online, businesses have had to follow suit. Something I always say as a way to be successful, is to take the conversation to YOUR customer. Go to where THEY want to hang out and that is Social Media. Credibility is what can make or break a business. You need to be memorable, and authentic. This doesn’t mean that you say something headline-grabbing and then because you have a lot of short-term interest that you suddenly have credibility. It doesn’t work like that. Building long-term relationships with your audience and a brand that is credible and respectable will win in the long run. This is something I talk about on a regular basis when I run webinars, or speak at an event. Understanding, defining and engaging with your target audience is key. Having an audience-first strategy means that you are creating content that your audience WANTS from you, and not what YOU want to create as a business. The above is a given, but there has been a slight change. There needs to be the delivery of the correct message, to your target audience, at the right time and using the right social network to achieve success. To understand how this can be done, do your research and find out where your target audience “hangs out” online. This has been a huge shift over the last ten years. Businesses would be successful through being in essence; selfish. Creating “me, me, me” content worked. It doesn’t anymore. Now that I have shared with you what I believe has changed the most over the last 10 years I want to walk you through my online methodology. My online methodology is broken down into three major sections; Visitors, Prospects and Customers. Throughout my methodology there is a process that I follow. The visitors section of my methodology covers the relevance and engagement part of the process. This is actually about drawing a visitor into my marketing funnel. This is done through content (both written and visual) as well as having a two-way conversation. After the visitor section of the methodology, I gain their trust and they become a prospect. The engagement continues and they get to know me, and my brand e.g. through a webinar. I have captured their details, and begin the nurturing process where I engage with them through an automated nurture campaign. The visitor has gone through the relevant, engagement and nurture process. I have their details, and they are engaging with me as a brand and because of this, I have converted them into a customer. This then becomes the sale part of the process where I promise to deliver on my service, and they hopefully become an advocate of mine. As an advocate, they build my influencer status, and become a champion of my business. So that you can visually understand the process of acquiring a new customer, here is my online methodology that I have been analysing for the past three years. 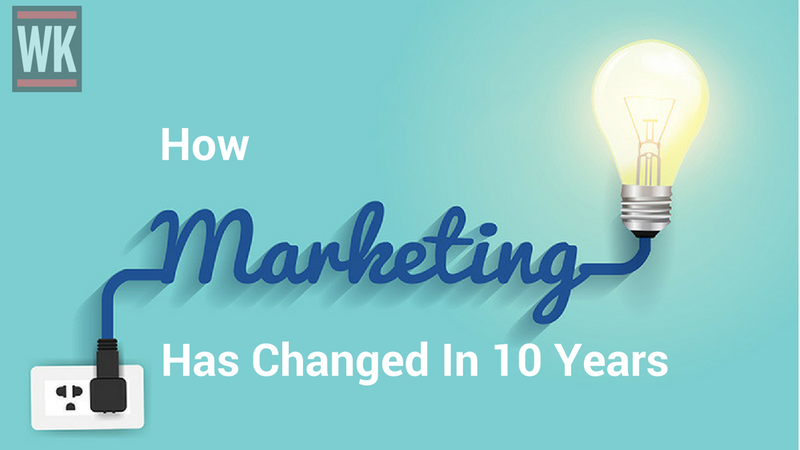 What do you see as the biggest marketing changes over the last 10 years, and how have you adapted your business along the way? 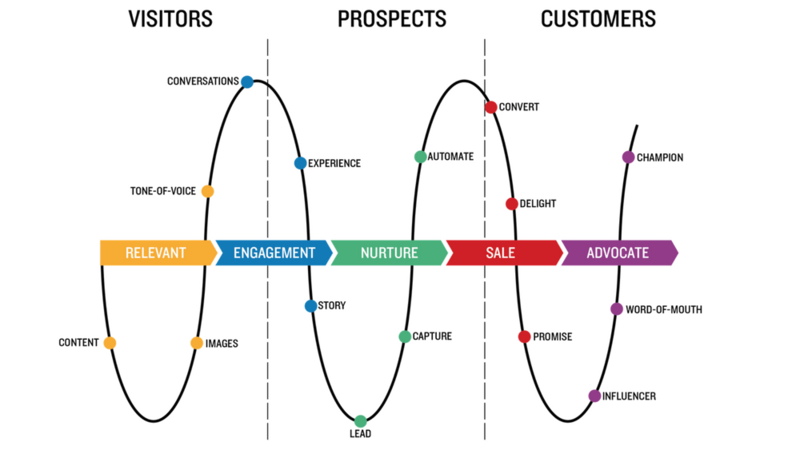 All very well put and explained and but note that the word “promise” only occurs near the end of your sales and marketing “spiral”. Also no stress (or even mention) of being ethical. As Facebook has found out if your potential or existing customers feel they can no longer trust YOU all the rest is peripheral and based on unjustified “sales speak” leading to false optimism. As President Nixon found out even a perfect “tone of voice” is no substitute fir simple honesty. Gosh I remember joining Twitter in 2007 – that’s 11 years ago! The time has slipped away but the breadth and depth of digital and social tools has been exploding. Thanks for this prompt to reflect, adapt and transform to keep up with the conversation(s). Absolutely agree. Cost of digital marketing done well asks for a “pound of flesh” from companies. This is something few understand. The consistency of message across the different channels is also lost most times – ATL, digital, and direct marketing and stay true to customer needs.